4 Port Cable TV/HDTV/Digital Amplifier Signal Booster PCT-MA2-4PN Ships Fast!!! 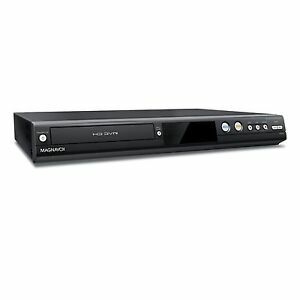 The Magnavox DVR is a versatile multimedia device that gives you more control over your television. The built-in digital tuner lets you pause and rewind live TV. You can store up to 500GB of high definition programs to watch later. You can connect your Magnavox DVR to your home network with the built-in wireless LAN and watch TV on any mobile device. This DVR fits my needs. I don't watch a ton of TV so it works well. Only a single tuner so you can not record a show and watch another. But once you build up your recorded shows this is not a problem. Recording a show is easy. Recording a show in advance is simple. I have yet to figure out how to set it to record every week a show i like with out me programming it all the time. What I do now is program all the shows on Sunday for the upcoming week. This is a draw back. Hope I can figure this problem out. But the DVR may not have that capacity. The higher end Magnavox has two tuners which would be better but it also cost more. I bought this because I dropped pay TV for OTA antenna veiwing. For me it was a good choice. If TV is you life buy the more advance model Magnavox. Less quality turner than previous generation. Disappointed that the tuner won't pick up all major network broadcasts like my older model. They also switched the DVD recording format so now my DVD +R/RW discs are unusable and I have to buy the -R versions. No cable or satellite, so have to depend on antenna for tv. This works well in place of cable supplied dvr. Not as many options as the 1TB but more than meets my needs. I have used this or another similar for over 10 years and am completely satisfied. Highly recommended! works great. very happy with it. Only way to go in my opinion. Just make sure that you turn it off when not in use so that the hard drive doesn't run 24/7. Like this DVR a lot. Don't even need to use a disc.